Buy Classic Volks – Volkswagen Corrado for Sale in Sherwood. 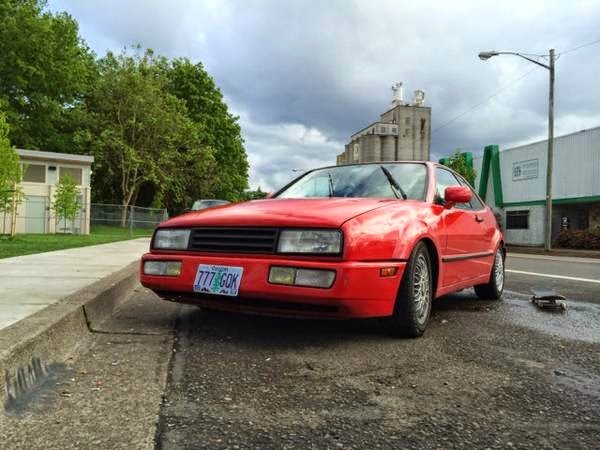 This a Corrado VR6, beautiful 2-door sport hatchback comes in Red built in 1992 has 175000 original miles and car is lowered, still on good condition. This pains me to write this but today I have to say goodbye to my first love and first car. My 1992 red VW Corrado vr6. 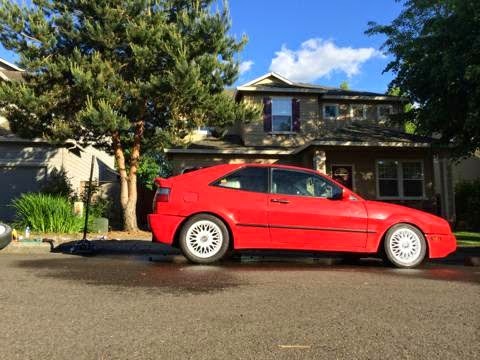 This car is lowered on Raceland coilovers and has real BBS wheels (only 1 hubcap), it also has a Magnaflow exhaust that roars like a lion. This car drives like a dream and has plenty of power with the vr6 engine. 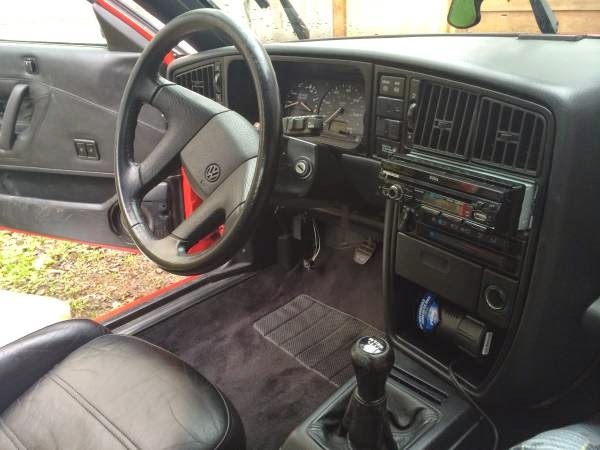 It is a 5 speed manual, the way cars should be and has no problems shifting gears. as far as the body I would give it a 8/10, with minor dents and chips in the paint, also the front bumper sometimes hangs but it just needs a clip and it will be good to go. The car has aftermarket speakers installed and is wired for a subwoofer already, it also has a sunroof and rear spoiler that automatically goes up when you reach a speed of 45 mph. 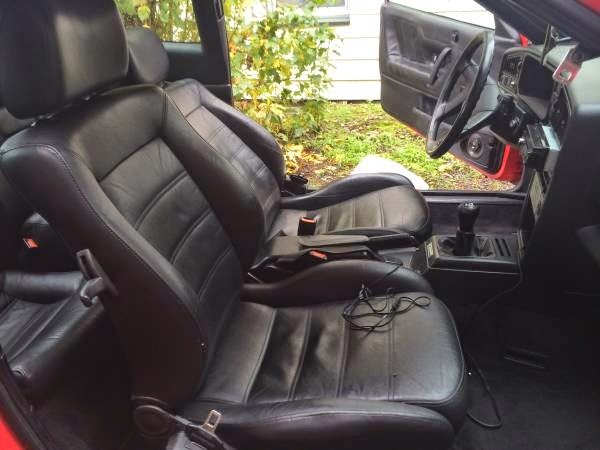 as far as the interior I would rate it a 8.5/10, with no major damage to the leather. All and all This has been a great car and I hate to sell it but I need money to pay for late rent and life. 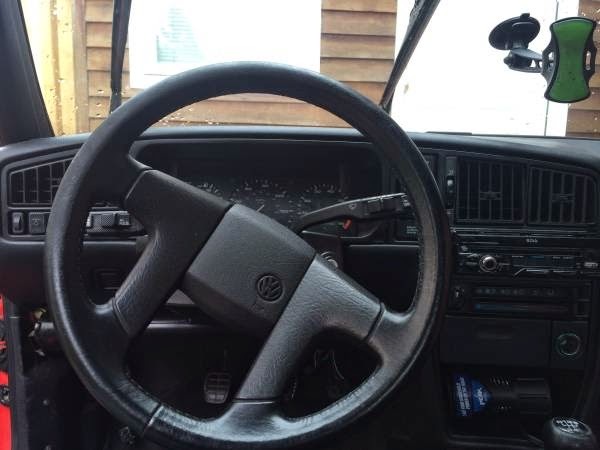 Just like any older VW there are its quirks such as: Power steering stopped working for some reason (could be an easy fix), the driver door handle needs to be replaced and a few other minor things that add to her wonderful personality. I’m asking 3200 obo to the right buyer. 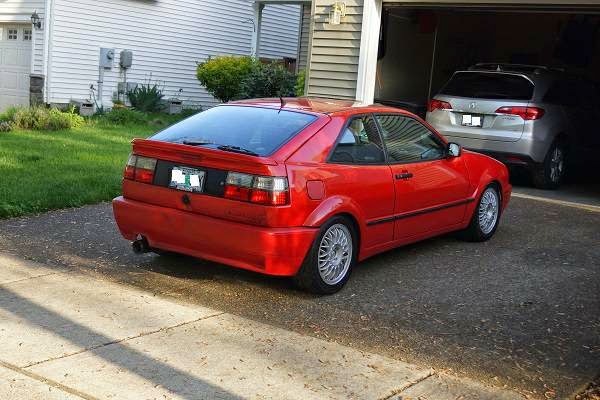 This entry was posted in 1992, Closed, Corrado, USA, Volkswagen and tagged Volkswagen Corrado VR6 on January 14, 2015 by buyclass.